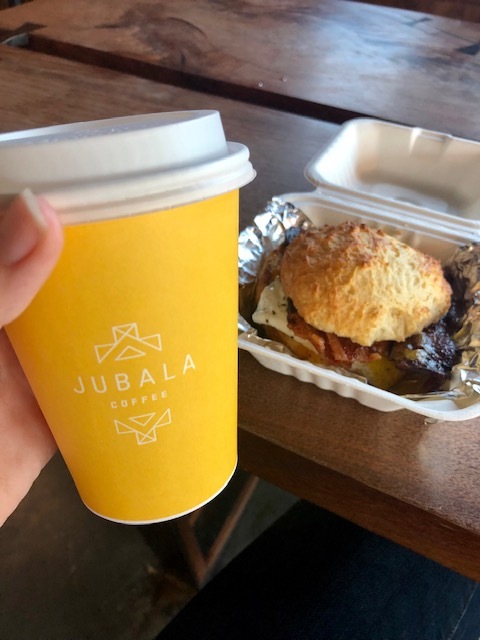 This week's Tasty Tuesday brings us to Jubala Coffee, located underneath the Aloft with a perfect view of the NC State Memorial Bell Tower. I have visited Jubala multiple times with friends and it has quickly become my favorite spot to study and do school work. The owner, Andrew, wanted to create a space that was relaxing and revolved around the community and he did just that. When I walked in, I saw an abundance of students on their laptops and friends chatting amongst themselves. After skimming the menu, I decided to order a chai latte with a bacon, egg and cheese biscuit. A few minutes later, my latte was ready and soon after that, so was my freshly-made biscuit. Jubala offers many indoor and outdoor seating options, but I chose to sit inside. My chai latte had the perfect amount of spice and my biscuit was flaky and buttery. 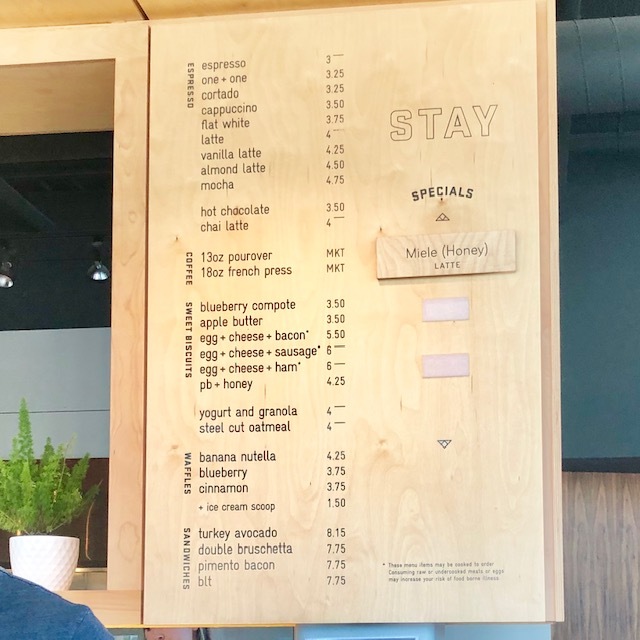 Jubala Coffee recently added specialty drinks and food to their limited-time spring menu. Some of these new favorites include the orange cream flat white, coffee lemonade and the rose cardamom espresso tonic. These tasty drinks and many more can be found at both Raleigh locations until the summer.